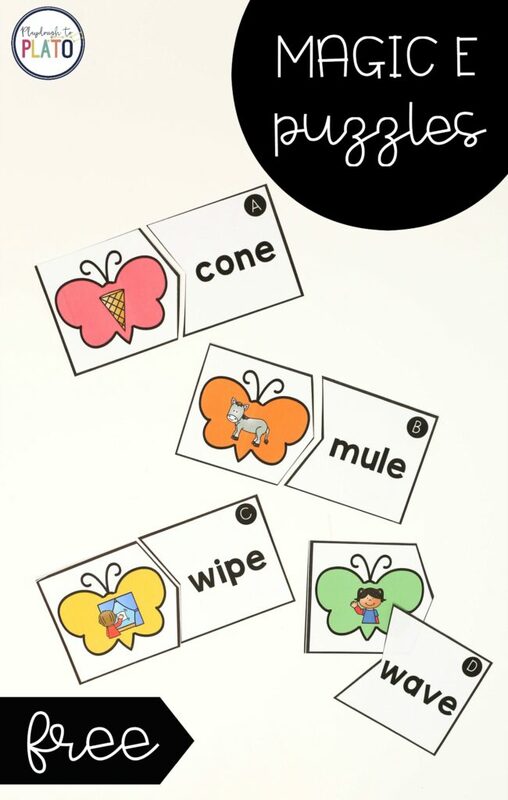 Just when kids finally learn how to read CVC (consonant-vowel-consonant) words, it’s time to jump into something new: Magic E words! 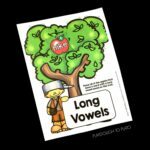 When a silent E is added to the end of a CVC word, the vowel magically changes to a different sound. 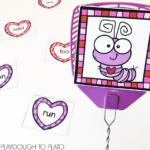 Kids will love practicing those tricky CVCe words with these playful puzzles! 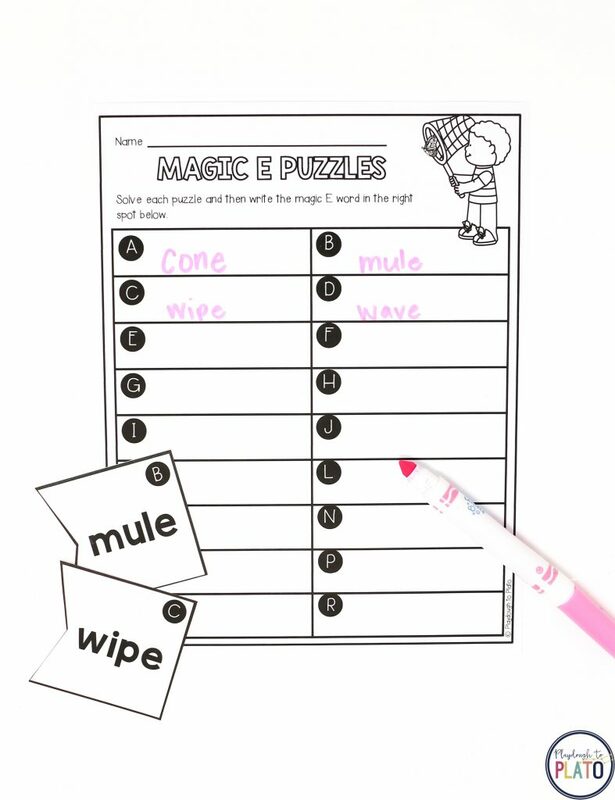 Snag your set below and then hop over to grab our popular Magic E Activity Pack too! It just took a couple of minutes to prep! I printed the puzzles on cardstock to give them extra durability and then I cut along the black lines to separate the pieces. 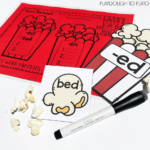 Since I wanted to stretch my first grader to also SPELL the words, I printed a copy of the record sheet for him to work on too. That’s it! We were ready to go! 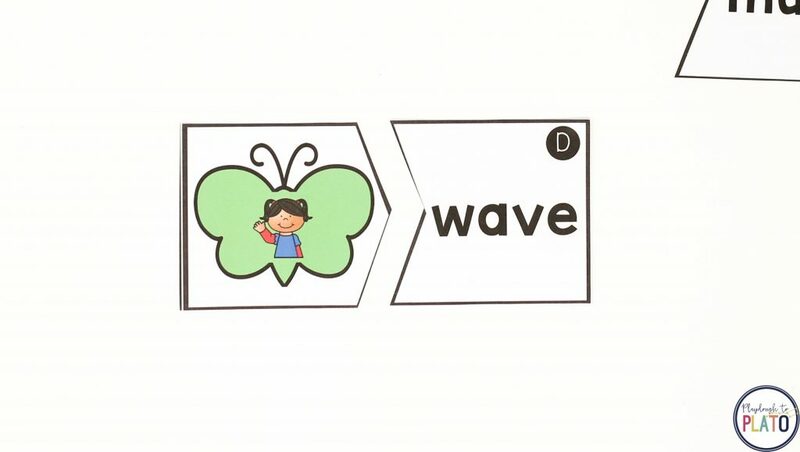 To play, my son picked up a word: wave. He read it out loud and then slid it next to the matching picture to complete the puzzle. Then he grabbed a new word and started hunting for its pair. When he’d found all 18 matches, I challenged him to write each word on his record sheet so that he could practice spelling too. He happily worked his way through the stack. 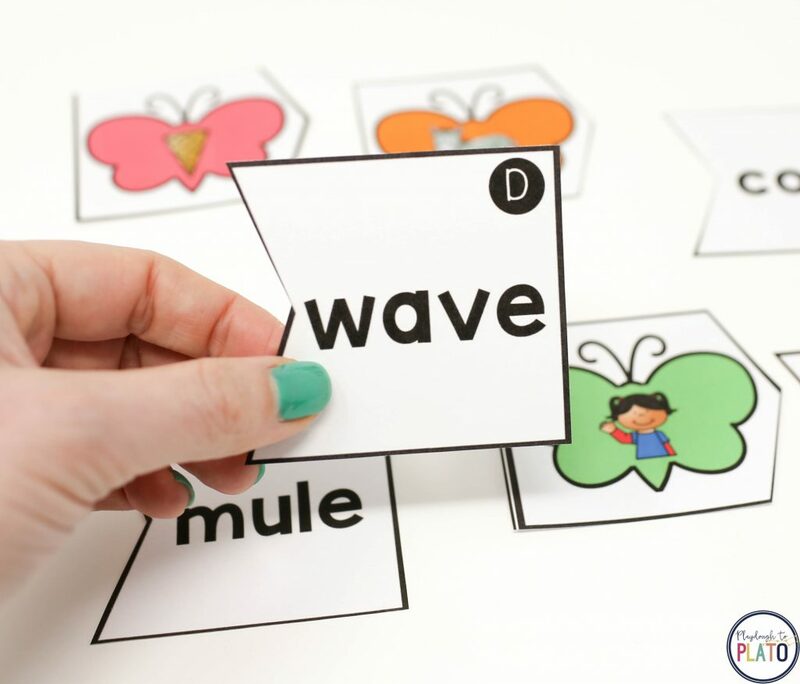 This is a great activity to differentiate! 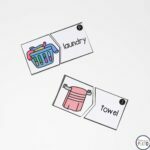 For students who are new to CVCe words, just give them five or six puzzles to complete at once so that they don’t get overwhelmed. 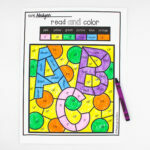 For kids who are ready for more of a challenge, have them solve all 18 puzzles and then stretch them to sound out the magic E words on their record sheet. 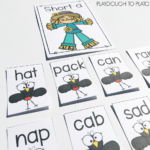 You can even challenge them further by giving them the stack of PICTURES instead of words! 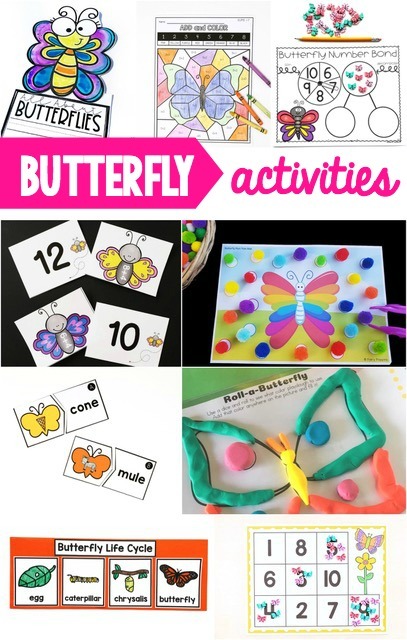 Click the blue download button below to grab your freebie and then make sure to check out eight more fun butterfly ideas your kids will love!